“Fun products need to be unusual” (Angela Schlösser, owner of Pension für Produkte). 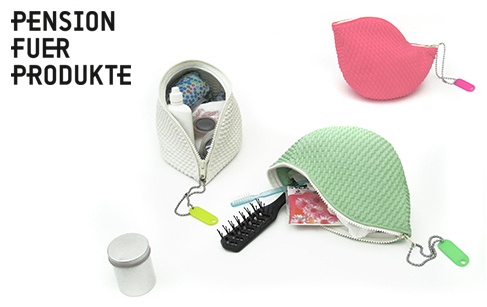 Pension für Produkte is a Hamburg based company that is offering home accessories. The young company’s product range is growing slowly but steadily. One focus of current products is the area of bathroom and kitchen furnishing. One common property of all products is quality. The company is not just about creating decorative products but they also want to add another dimension to them: creating images and new functional aspects, as well as putting a topic in a nutshell. The product designs were created by industrial designers and architects that have license contracts with the PfP-manager Angela Schlösser. Inland and abroad industrial providers take the manufacturing of serial products or single objects in order of Pension afterwards.